No one expects to be denied when one applies for workers’ compensation. However, denials do happen for a variety of reasons, some legitimate, others erroneous. When they happen, many people become discouraged and demoralized, doubting whether an appeal is worth their time. The truth is that appeals are almost always worth the time – the denial may be overturned with the right information provided. One of the most common reasons that rightful workers’ compensation claims are denied sometimes is that the state of South Carolina has strict regulations about the timing of such claims – when they must be filed, the statute of limitations, and the circumstances under which they must be filed. South Carolina law holds that while the time limit for requesting benefits is two years, the employee must file a Notice of Accident with their employer and any other relevant authority within 90 days of the injury or death. Failure to comply with either of these limitations can scupper an otherwise valid claim. Another common circumstance is that sometimes people wait to file their claims until after they have been terminated or laid off. The law does not permit this – one cannot file a claim as an employee when one no longer fits that category. You may still be able to file if you can show that your employer terminated you or laid you off so as to prevent your filing for workers’ compensation, but the burden of proof for that claim is quite high and difficult to meet. 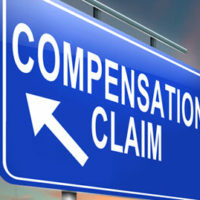 The other reasons that an insurance company or official might deny a rightful workers’ compensation claim is that they suspect some discrepancy to have taken place, either due to your actions or to the actions of your employer. For example, if discrepancies exist between your initial report and your later medical records that cannot be explained by mere mistake, an insurance company will be naturally wary. Another reason for your workers’ compensation claim to be questioned or denied is if you do not comply with requests for medical authorizations or other information. South Carolina law requires that any relevant medical records concerning your injury must be given to the insurance carrier, but sometimes your employer’s insurer may ask for more, or ask for records you do not believe are necessary. You may refuse to send over those disputed records or information – it is within the law to do so – but insurers may take your concern for privacy as proof of hiding something. It can be a difficult situation to be in without experienced assistance. If you have been injured, workers’ compensation can be a lifesaver in terms of keeping bills paid and family members fed, so if problems happen, it can be extremely frightening. Enlisting a workers’ compensation attorney can make all the difference. The zealous Winter Park workers’ compensation attorneys at the Hornsby Law Group are well versed in the law in this area, and are happy to help suggest a path for you going forward. Contact us today to set up an appointment.